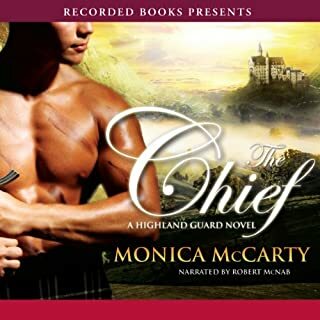 Rory MacLeod is a bold and powerful Highland Chief with only one allegiance-to his clan. He vows revenge against the rival MacDonald clan, though duty demands a handfast marriage to Isabel MacDonald-a bride he does not want and has no intention of keeping. But Rory couldn't have anticipated the captivating woman who challenges his steely control and unleashes the untamed passion simmering beneath his fierce exterior. Totally different genre I know but the narrator took some real getting used to and the danger was not very deep. Neither was the seal situation. Maybe because you didn't really get to know any of the villains or the camaraderie of the seals. There just wasn't enough time dedicated to either side. Maybe if I listen to more in the series I'll begin to feel the seal camaraderie. I almost couldn't get into it because the narrator's male voices and the heroines voice were pretty corny sounding. The narrator did improve about a third into it. She dropped the valley girl voice for the heroine and the men started sounding more normal. She did passable accents though. Better than I could ever do anyway. The narrator is really challenging to listen to. A suggestion is not to hire elderly narrators to communicate younger characters in books. It never works. I felt like I'm listening to a scene out of the movie 'Cocoon'... Her accents are overdone and annoying to listen to. Once I can get past the Dorothy thing from the 'Golden Girls', the story seems to be shaping up to be okay. Still got 7hrs to go... Not sure if I can handle the narration. so far this series has hooked me. love the details and interesting facts Monica pulls in. her characters are balanced, the story keeps you guessing, can't wait to hear how she develops this new group of men and the women that drive them crazy. at first I had a hard time at the start to keep interested. but when the story picked upmit got better. liked the story and the events. never thought i hear eco terrorist in a romance story. Monica McCarty does it again! 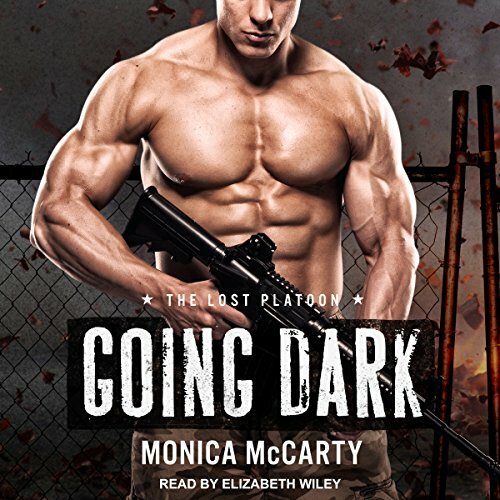 Going Dark sets the scene for another amazing series from the McCarty. 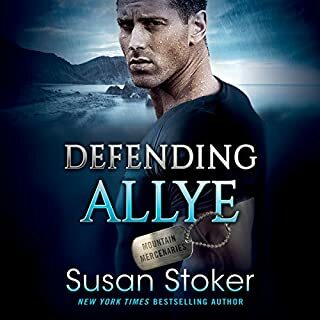 The book opens by giving us a glimpse into the life's of the platoon members and then sets the stage for the rest series with anchor characters of Dean & Annie and Colt and Kate. 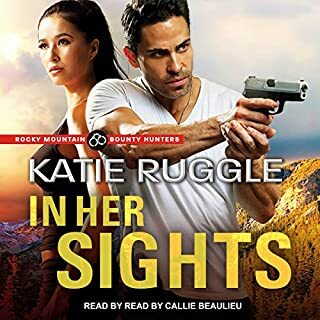 As with all McCarty's books she provides an amazing love story full of sexual tension mixed with the right amount of drama and high stakes action to keep the reader highly engaged. I've only one complaint with the work - that I have to wait for the second installment! Great job and I can't wait to learn more about the lost platoon. I love the story, it's a good start for another series from her. I really can't wait to find out what happens next. I do wish I liked the performer more. Ms. Wiley does a ok job I just am not a fan of her voice. I have enjoyed the other voice work on Ms. McCarty's book much more. I just love Monica McCarty. She has a wonderful way to draw you into the story and keep you hanging on every word. so I liked it but I fell in love with her medieval romance so I was a little disappointed when I learned her new series would take place in our time. Part of what disappointed me was that there are only a handful of really good Scottish romance authors. But it was a good book... perhaps from another perspective it was a good move for her because some of her books had become very repetitive. I enjoyed the story line but the beginning was a little slow and took a lot of time to get into. I am glad I stuck it out but it is always hard to get through a beginning when there is a current boy friend.. no one wants to know about that really we just want to move on. I liked the alone time they had and felt that they really got to know eachother. It had a pretty good plot as well. I look forward to the next book. Would you try another book from Monica McCarty and/or Elizabeth Wiley? Not a clue can't listen to it. What didn’t you like about Elizabeth Wiley’s performance? What character would you cut from Going Dark? I purchased this book and it says there is no Audible file for it?? Why is it allowed to be purchased if you can'r listen to it? ?